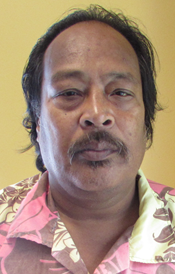 Mayor for BTC, Tauia Viane Taoaba, was first elected Councillor for Betio Meang (North) in 2012, got reelected in 2016, and won the BTC Mayor’s seat later in the same year. The Mayor was born on 17/3/1968 on Tarawa. 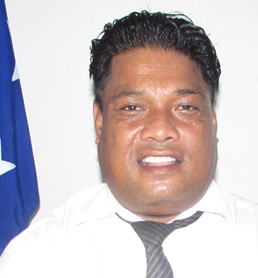 He attended the OLSH Primary (Teaoraereke) and later St. John Bosco’s in Betio. Between 1980 to 1985, he attended St. Joseph’s College in Tabwiroa, then the Immaculate Heart College in Taborio, and finally Form 6 at KGV&EBS in Bikenibeu. The Mayor is an active community and church leader having served as President of the Betio’s Catholic parish (2011-14), Committee Chairman for Tabwena parish in Temakin (2015-16) and as the Director of the St. Patrick College’s Board of Governors (2014-). The Mayor’s wife is Marieta Binoka, a senior staff of the BTC and they have three sons.